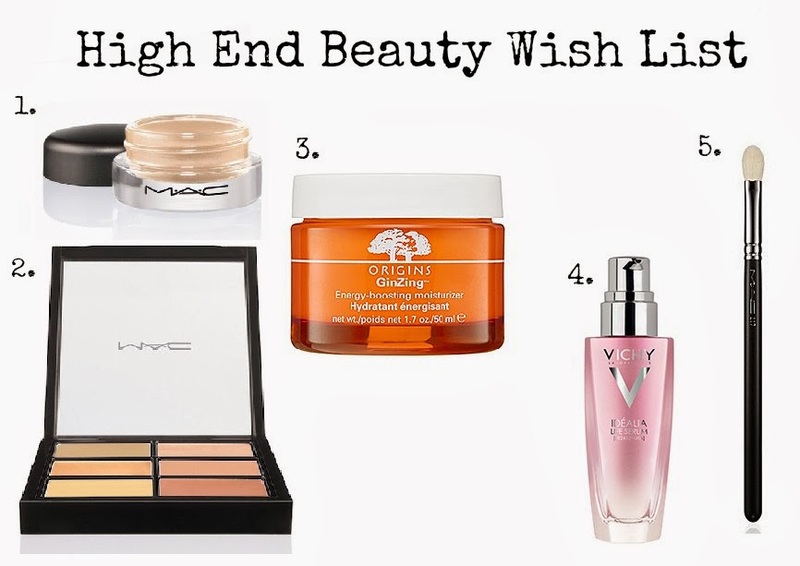 This high-end beauty wish list isn't too pricey but it's definitely above high street prices. As you can see it's mainly MAC stuff, what can I say I love MAC. Also thrown in are two products I've seen blogged about by beauty bloggers that I love so I really want to try them out. 1. MAC Paint Pot in 'Bare Study' £15.00 - I've tried out 'Bare study' at the MAC counter before and loved it. It's my kind of eyeshadow colour which will work well with my other shades and also is great for just a wash of colour on the lids. 2. MAC Conceal & Correct Palette £35.00 - I've wanted this for so long its a joke. I've been having a slight obsession with concealers at the moment but I only own liquid ones so I feel that it's time I started trying out creme based concealers. 4. VICHY Idelia Life Serum £29.50 - After seeing Kayleigh from Couture Girl post about this a while back I've lusted after it. She always makes great recommendations on products so I can't wait to try this out! 5. MAC 217 Brush £18.00 - I'm trying to build up my smaller brush/eye brush collection so I thought this MAC brush would make a great addition. I've heard great things about it and feel it would fit into my brush family quite well.